Technology has made it possible to enable personalized learning and to have students take more control of their own learning. Moreover, technology has also made it possible for students to engage in authentic learning by tackling real-world problems on a global scale. Even the most effective teacher cannot keep an eye on a group of 20 or more learners, looking for any pattern in their mistakes. The recent move to one-to-one computer initiatives, BYOD (bring your own device), and increased access to tablets in schools makes it more possible to provide personalized learning experiences via technology. So we get it. Technology has great potential for learning and can significantly empower learners. Technology is efficient in teaching basic skills repetitively and can therefore save many hours of teaching for human teachers. Thanks to technology, multimedia materials become highly accessible and bring more fun to learning. Last but not least, technology has great potential for providing personalized instruction. Teachers are irreplaceable in evaluating educational technology in terms of pedagogy and content. What content am I teaching with such technology? What are the affordances of the technology tool? Are there any drawbacks of the technology? What are the particular learning needs of my student(s)? How am I going to use this technology in my teaching (e.g., teacher use vs. student use; whole-class setting vs. smallgroup work or individual work; whether to share with people outside the class)? How may the use of this technology provide a better learning opportunity for students? Why? “Cyclic amnesia best characterizes the history of technology in education.” That is part of the following post about the mistakes in educational technology that keep being made decade after decade — and about how to fix them. Source: The Washington Post. The report is new, but the finding is not. Source: The Washington Post. We have applied a misconstrued relationship between teachers and technology. Guided by the narrow view that a teacher’s primary job is to transmit knowledge, technology has traditionally been viewed as something to either replace the teacher or aid the teacher, which directed efforts to develop products and services to replace the human teacher entirely or tools for teachers to use. The second mistaken approach is the way technology is treated in schools in relation to students. The traditional approach has been to use technology to help students “consume” information more effectively. It has been used mainly as a way to help students learn better the existing curriculum, while a much more productive way is to help students use technology as a tool for creating and making authentic products. This calls for a transformation in how we view student learning. The third mistaken approach is the result of our erroneous expectations and definition of educational outcomes. With the increasing pressure on schools to improve student academic achievement, often measured by standardized tests, investment in technology has historically been justified as an effective way to raise academic results or test scores. Thus, technology has often been limited in traditional instructional practices instead of viewed as a transformative tool to create a better education for all students. The fourth set of mistakes is derived from the wrong assumption that technology is there only to improve existing curriculum and instruction while neglecting the fact that technology has created a new world, which demands new skills and knowledge. 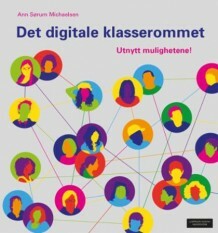 In other words, traditional approaches to educational technology have not typically viewed digital competence or the ability to live in the digital age as legitimate educational outcomes. Consequently, not much attention has been given to transforming schools into environments that cultivate digital competence. 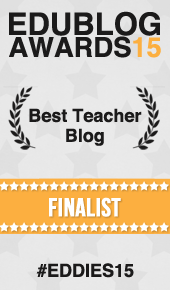 The final mistake is the approach to professional development of educators. Too often professional development efforts have been driven by technological products instead of the needs of students and educational change. Technology changes fast. New products and services come out all the time at nonstop speed. To help teachers make use of technology, many professional development programs have been developed in schools. These programs often have a focus on teaching teachers how to use the newest technological tools instead of focusing on what students need and how technology as a whole can affect education. As the author summarizes in this article from The Washington Post, This book is a review of what happened in the past. It is intended to challenge traditional thinking, practices and policies. More important, it is intended to stimulate new thinking about the future of education and technology. Thus, while we criticize past-oriented practices and policies, we also provide numerous examples of emerging future-oriented practices and programs that reflect a new way of thinking. It is our hope that this book can help school leaders, policymakers, teachers and parents re-imagine education in the digital age. I had the pleasure of listening to Yong Zhao at ISTE in 2012. I recommend catching him at a conference if you are able to. Previous Post: Every kid needs a champion! Next Post: This is a most amazing time to be a learner…….